Enterprises have begun utilizing semantic technologies and standards for knowledge representation, knowledge access and discovery. Combining this with GeoTemporal and Social Networking analytics is the next stage of Business Intelligence. In this seminar, we will discuss new advances with AllegroGraph's GeoTemporal Reasoning Capabilities using KML-Google Earth and query techniques that include space, time and people. 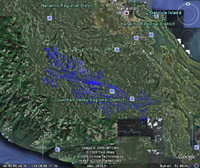 The three kml files below were viewed using Google Earth as part of the Geo Tutorial. They use data provided by GeoBC . 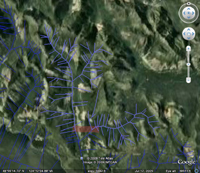 If you have Google Earth installed you can view them on your own computer. The resolution will be better and the animation much smoother than in the tutorial recording, and you can navigate around in the field as you wish. 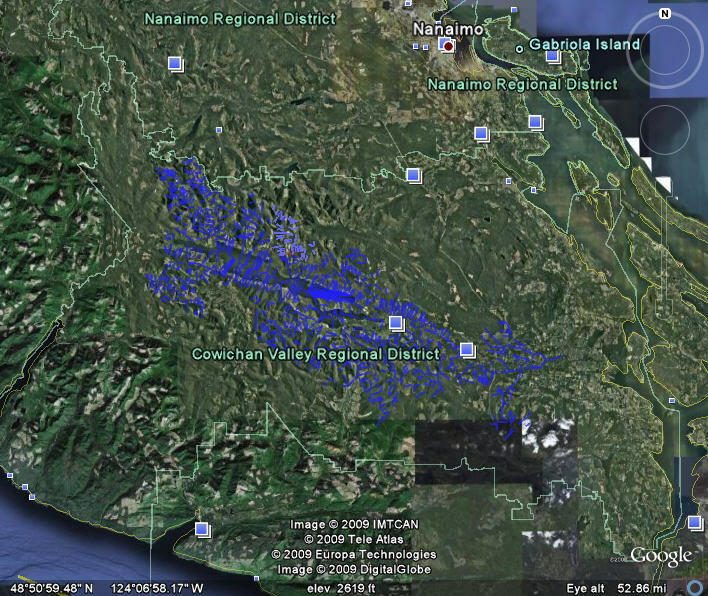 The first file CowichanRiver.kml maps the tributaries of the Cowichan River on Vancouver Island, British Columbia. 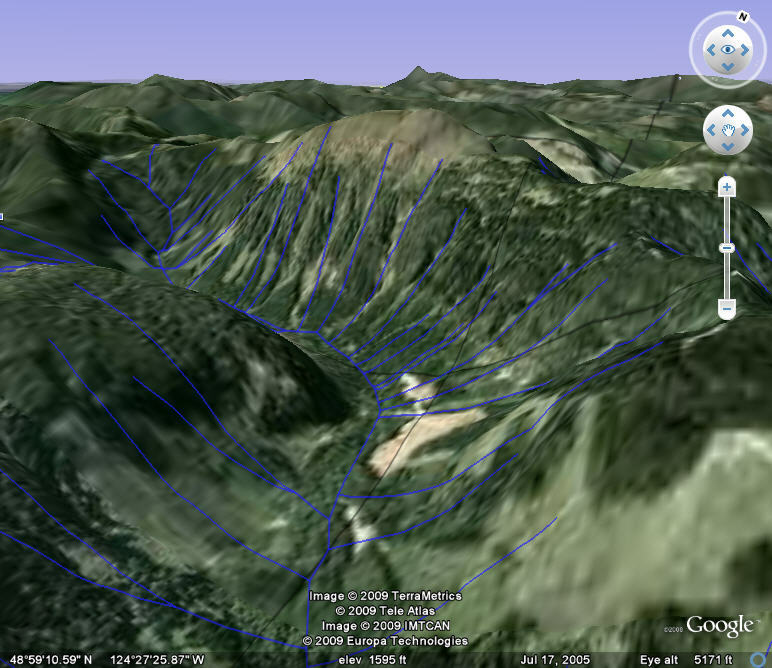 The second file DetailView.kml flies to a closeup view in the mountains. You can rotate the view using the compass control (the "N" at the top of the controls near the top right of the display) to see different perspectives, and navigate around to explore the different tributaries. 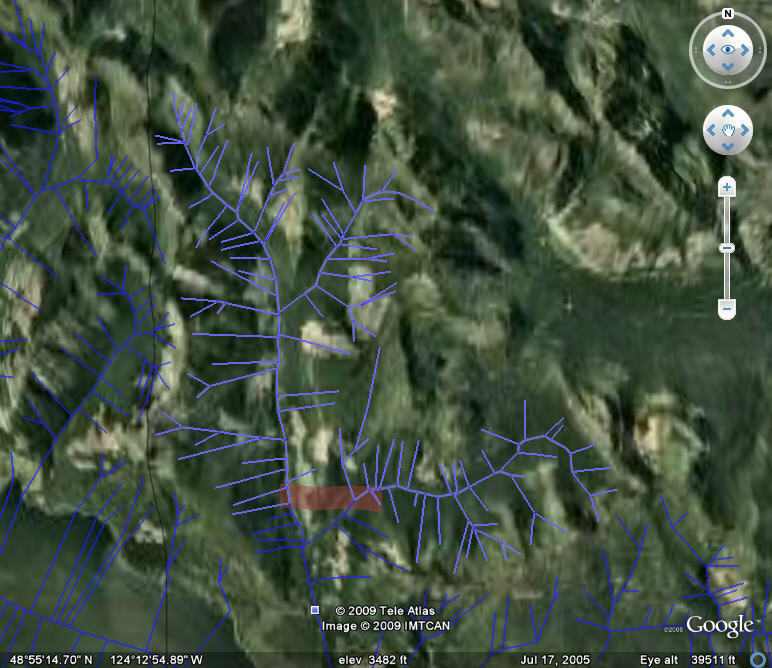 The third file DrainageIntoBoundingBox.kml shows the upstream sources draining through a particular bounding box. (Depending on your browser, you may have to right click and save as).